Yeah! I managed a second ALYoF finish! 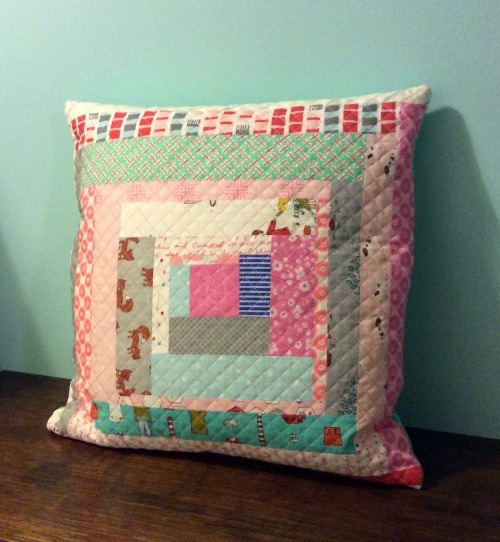 Back at the start of the month I set my goal of finishing Mali's cushion before the end of the month and yesterday I did the last little bit of quilting, inserted a zip and sewed the cushion together. Unfortunately I wasn't home during daylight hours today so I only have a night time picture to show you. I quilted the front with a variegated pink Coti thread that I bought at festival last year since I couldn't find an Aurifil one anywhere (I've since bought some from the lovely Cindy). The crosshatch with the lines around 1/4" apart does take time but I love the texture that it gives. I find that marking the lines with a Clover Hera marker makes things a lot easier and my lines end up being so much straighter than if I tried to 'wing it'! ...and the answer was a definite green. On the front of the cushion the variegation in the thread isn't obvious but on the back I really like the extra something that it adds to the overall effect. 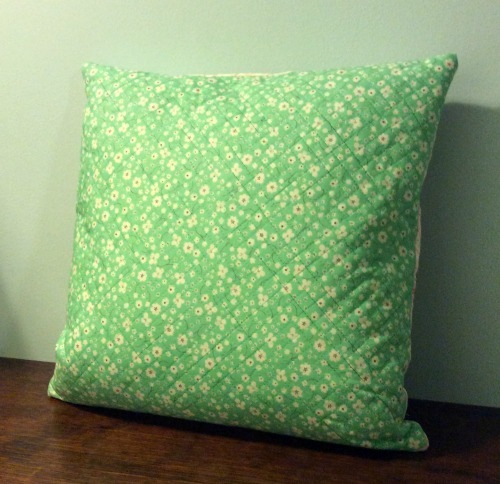 Unfortunately the night time picture doesn't show the quilting as well as it should. Whilst I was basting the front and back for the cushion I forgot that I usually prefer to add the zip to the back of the cushion. By the time I remembered I'd already cut the fabric and the batting so it was too late so I just added the zip to the bottom of the cover. But for now I'm calling it finished and linking up with Melissa and Shanna. Congratulations! 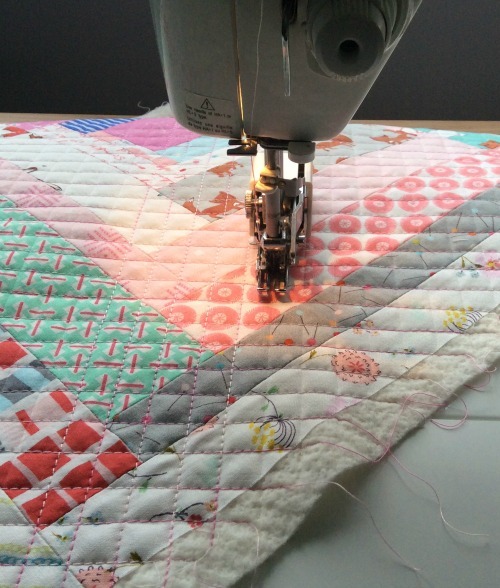 It looks great and love the quilting. 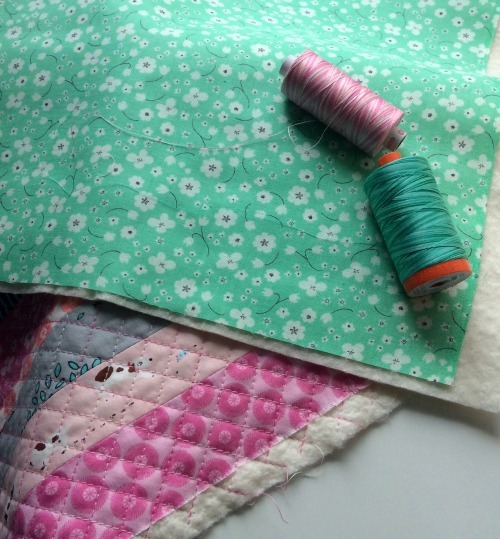 It's lovely, I like the combination of the pinks and the green, and the quilting is great! Sure looks done to me!